The European Project NanoCode was a multistakeholder dialogue providing inputs to implement the European Code of Conduct for Responsible Nanosciences & Nanotechnologies Research. This two-year project was funded under the FP7 Science in Society programme. 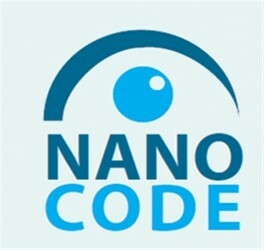 The objective of NanoCode was to define and develop a framework aimed at supporting the successful integration and implementation, at European level and beyond, of the Code of Conduct. NanoCode aimed to improve and strengthen awareness of the CoC, promoting trust among stakeholders and developing a framework to support the wider application of the CoC. The project aimed to identify those practices that support compliance with the principles and actions of the EC’s CoC and help to underpin its implementation; propose criteria and indicators to assess the level of application of the CoC; suggest and evaluate a portfolio of incentives and disincentives; propose possible future integration of and changes to the CoC. The development of a practical tool (the CodeMeter) to help stakeholders assess their performance in complying with the CoC’s principles formed a key element of the framework. The project also used a variety of national and international events, a dedicated website and a series of brief publications as tools to communicate project findings and provide a centralised and unique source of information on the CoC and its application in Europe and beyond. NanoCode brought together experienced partners from 10 different countries (Germany, UK, France, The Netherlands, Italy, Spain, Switzerland, the Czech Republic, South Africa and Argentina) and was led by AIRI/Nanotec IT in Italy. Visit the NANOCODE website (external link, last accessed 27 March 2014).